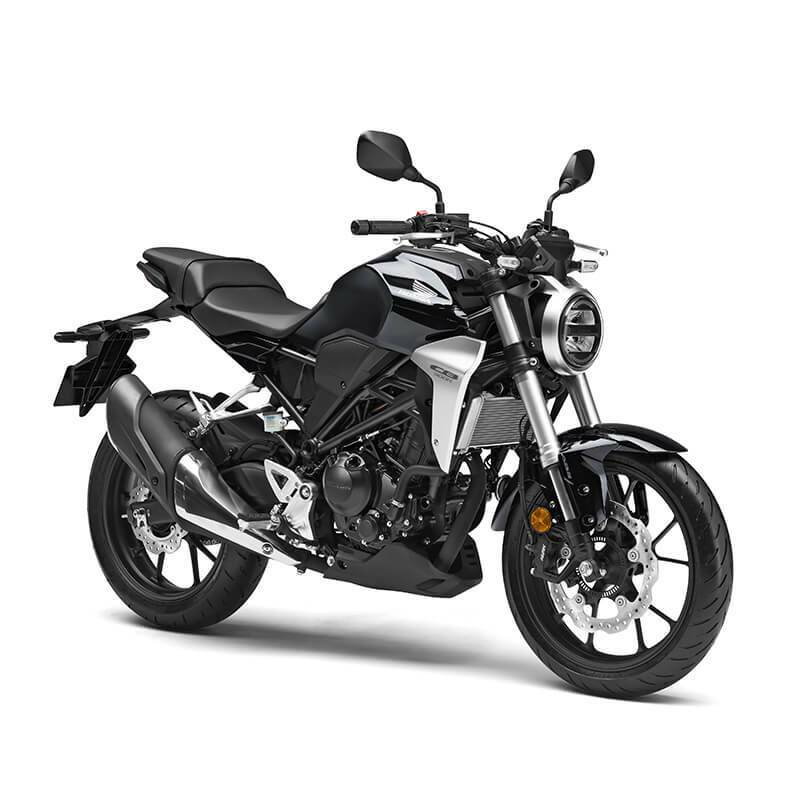 Representing a major stepping-stone for any young or new rider, the CB300R is very much a first ’ big bike ’after a 125cc machine, offering impressive and engaging sensations from both engine and chassis without the weight, cost and licence implications of a larger capacity motorcycle. It is the ideal machine for newer riders to develop their riding skills and enjoyment, and is a great introduction to Honda, with the brand ’s engineering prowess, design philosophy and high build quality firmly on display. Fun to ride, a joy to own and representing a bold new direction for smaller displacement machines, the CB300R has many of the premium features found on its larger capacity siblings. It also injects a fresh new style on to city streets, with its ’Neo Sports Café ’minimalist, bare-boned attitude shared with its 1000cc stable mate. The CB300R tips the scales at just 143kg wet and gives Honda’s new lightweight star a performance advantage. Mix in a free-revving 286cc liquid-cooled single cylinder engine, plus a unique new style and presence and the CB300R’s intention to excite and inspire young riders is clear to see. A brand new frame mixes pressed and tubular steel for a tuned rigidity balance that gives great feedback. The CB300R also features 41mm USD forks with radial-mount 4-piston caliper, hub-less floating front disc, IMU-based ABS and Dunlop radial tyres. Valuable features more usually found on much larger machines such as the tapered rubber-mounted aluminium handlebar, LCD instrument display and full LED lighting, exude quality and add to the pride of ownership. 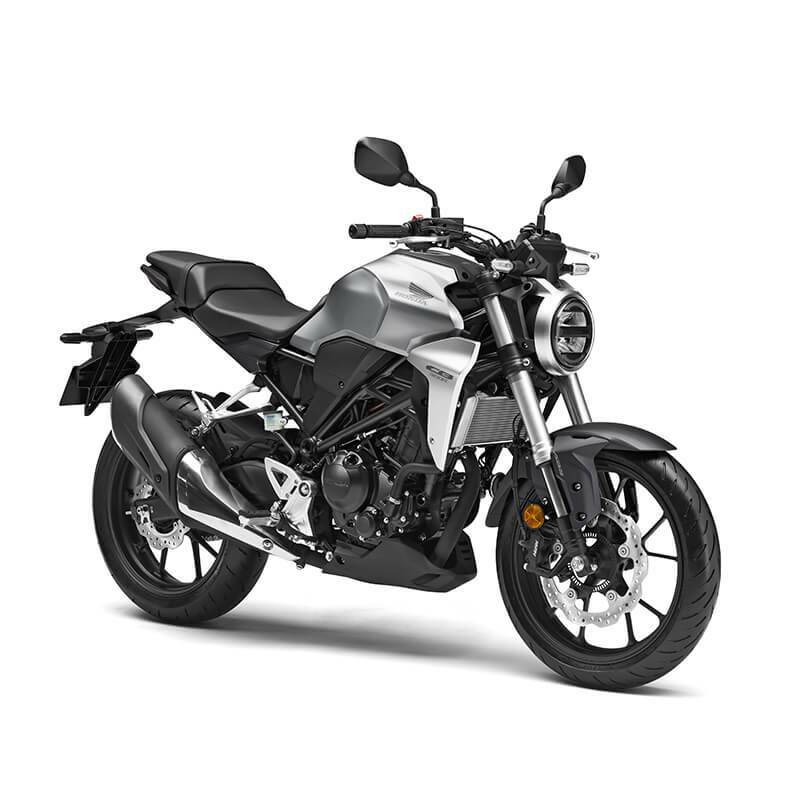 The CB300R’s compact 286cc DOHC 4-valve liquid-cooled single cylinder engine – shared with the CBR300R – is a diminutive jewel that has won many fans for its free –revving and responsive nature. And while that free-spinning character can get the adrenaline pumping as revs rise, it’s also an engine that works well in ’real-world’ road riding conditions, both around town and out on the highway. To reduce maintenance costs â€“ an important factor for younger riders – the engine is also designed with the minimum number of moving parts. Details like the low-friction piston rings, high-density core radiator and iridium spark plug help increase fuel efficiency. 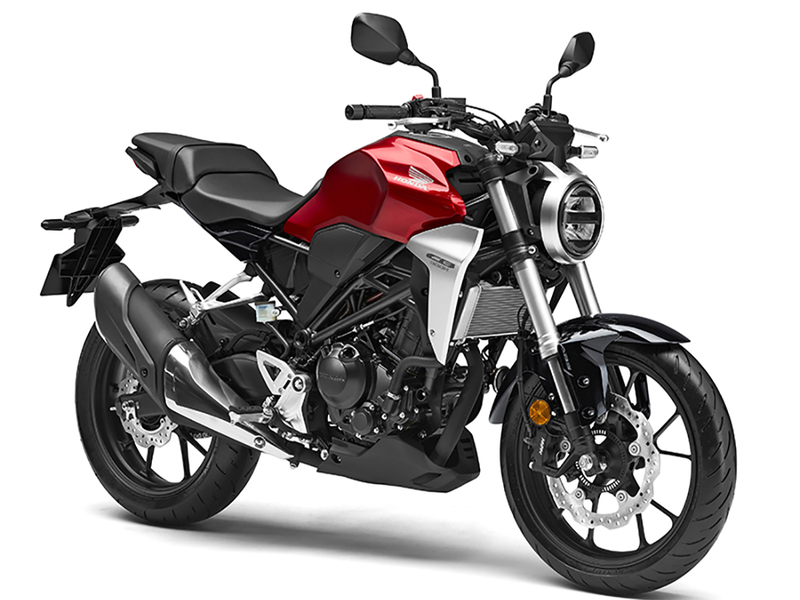 The CB300R’s frame which helps underpin its minimalist style, drawn on the same Neo Sports Café lines as the new 2018 CB1000R – is constructed with tubular and pressed steel; the swingarm is manufactured from steel plate, irregularly shaped in cross-section. Both are designed to achieve high longitudinal rigidity and control torsion from wheel deflection without excess rigidity or weight. Ideal for learner riders, the CB300R is LAMS approved (learner approved).